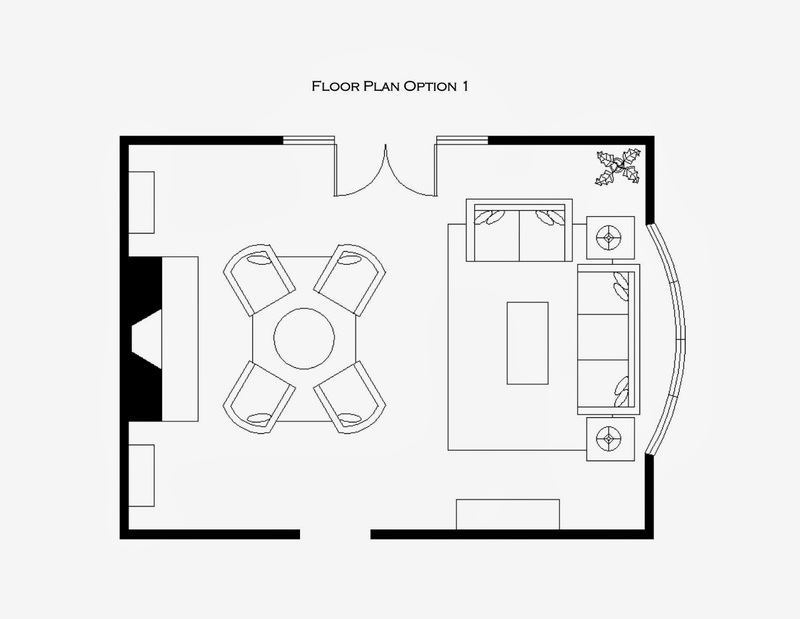 Today's featured design plan was created for an extra large living room with two focal points. How lucky is this homeowner to have two amazing features in one space? One focal point is a gorgeous bay window that provides a panoramic view to the yard. The other, a stunning fireplace. Our job was to highlight both of these features equally. To accomplish this, we divided the large room into two different seating arrangements. One is centered in front of the fireplace and the other in front of the window. To anchor the arrangements we used two different (but complimentary) area rugs. 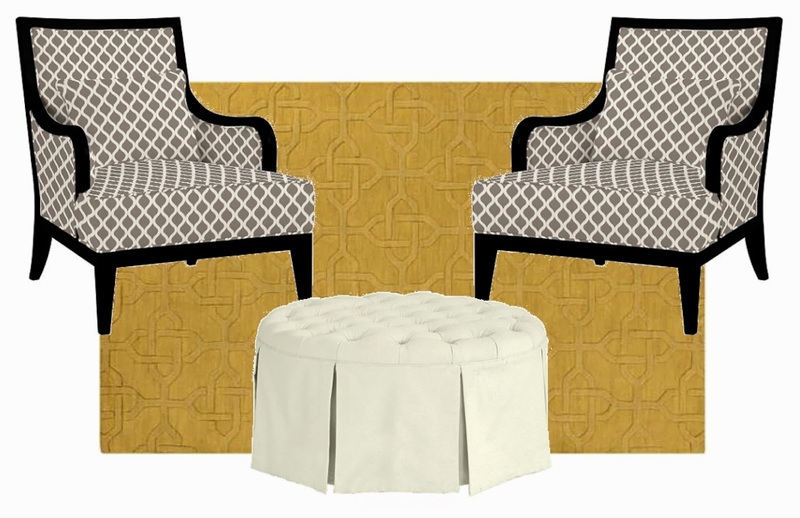 We chose this gorgeous 100% wool charcoal and gold medallion rug for the sofa area. 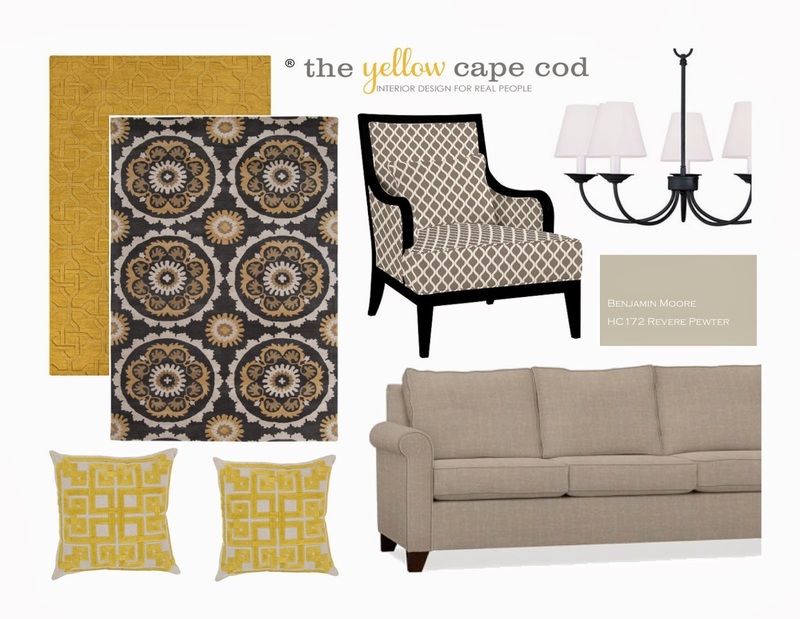 The amazing color palette and eye-catching pattern looks beautiful with the solid, neutral upholstery on the sofa and loveseat. (This rug is now available in my shop, click here to view). For the fireplace seating area, a beautiful solid rug with a sophisticated raised design highlights a grouping of four patterned chairs from Ballard Designs. A round, tufted ottoman in the center makes this spot in front of the fire, the coziest place in house. In addition to the furniture shown in this post, this design plan also included recommendations for lighting, art, accessories, paint, window treatments, occasional tables, bookcases, media unit and suggestions for a special faux beam ceiling treatment. This project was a good example of divide and conquer. Large rooms can sometimes be intimidating. By breaking this expansive space down into two smaller areas, the entire design was easier to approach. Also, it gave both the fireplace and bay window the attention they deserve. I always look forward to your designs! 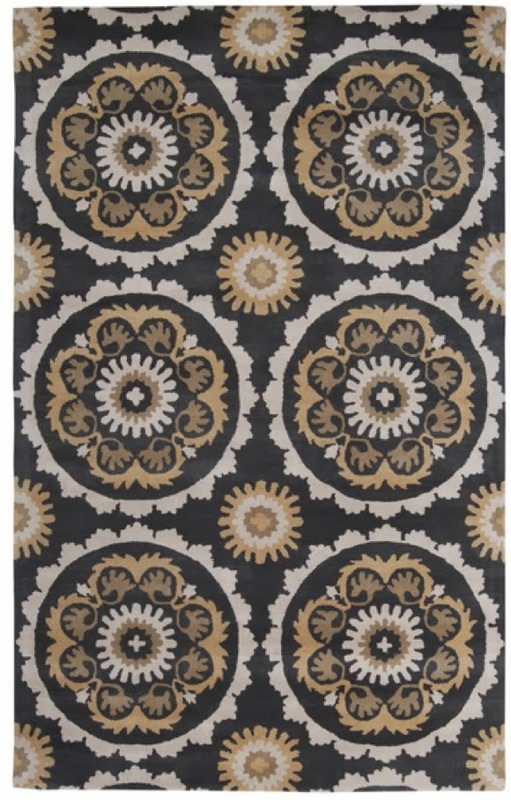 Where do you find your wonderful area rugs? LOVED the article in today's paper. That was the best house and design featured this year!